These difficulties may now be coming to an end, or at least easing. 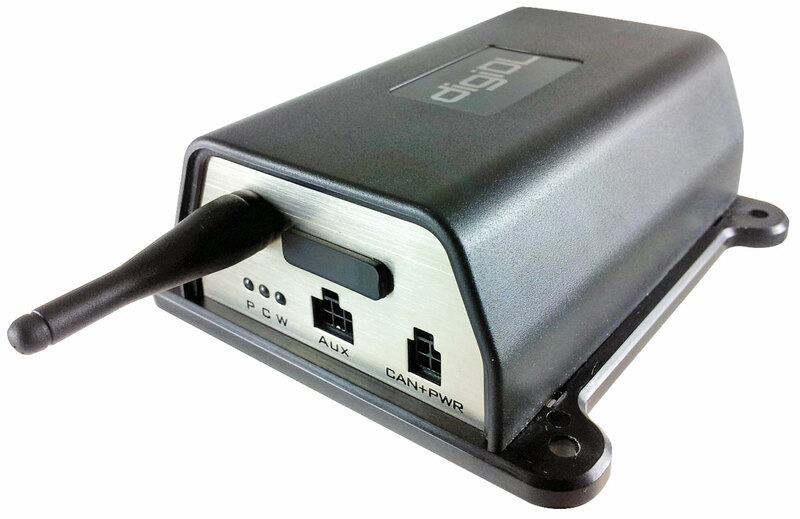 The introduction by Stoneridge of the SE5000 Exakt Duo and the latest SE5000 Exakt Duo2 digital tachograph means that it is now much simpler for the driver and the operator to stay legal, even if the vehicle is away from base for some time. Since the introduction of the one minute rule all tachographs have been changed to record in one minute intervals and assign it to a particular activity typically driving or rest. However, most tachographs assign the minute to the activity which took up the largest part of that minute, rather than rounding up the minute whenever there was five seconds or more of drive. For example for 29 seconds of drive and 31 seconds of rest the whole minute will be assigned to rest. All tachographs record in minutes and in real time but old units don’t allocate activities fairly, the SE5000 Exakt Duo2 does. Not only does this benefit both driver and operator from a compliance point of view, it can save an operator as much as 45 minutes of lost driving time per driver per day and that is important. Added to that, the new Stoneridge units provide the driver with a visual, minute by minute, countdown of both driving and rest times. This is important because it can help to avoid drivers driving for longer periods than they are permitted to do or equally not taking the full rest period. Even over-running a driving period by one minute, or similarly curtailing a rest period by the same amount, can lead to serious problems and potential prosecution, let alone the effects it can have on operational efficiency and operating costs. The more accurate allocation of time helps to ensure that operators receive full driving value from their employees. 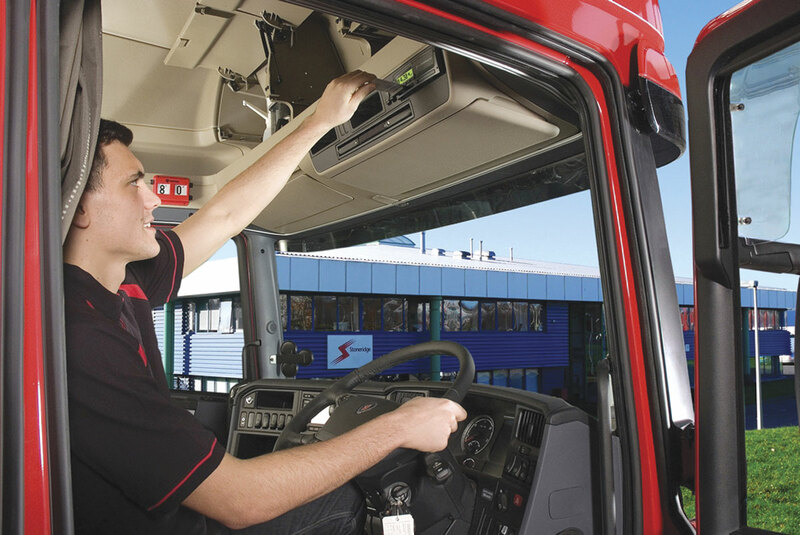 Another benefit of the new SE5000 Exakt Duo2 is that the visual displays on the tachographs are much clearer and easier to interpret – something previous tachograph designs have been criticised for. The introduction of digital tachographs across the UK and Irish PSV industries has been much slower than the freight sector generally because PSV operators tend to retain vehicles for much longer periods than their freight counterparts, but as their use spreads, some operators are beginning to look at the benefits of removing the complications of operating with both analogue and digital tachographs in the same fleet, by switching vehicles from using analogue units to digital. Stoneridge have recognised this and make the SE5000 Exakt Duo in a retrofit package. Most vehicles, though not some older ones, can be converted. The practice is already widespread across the freight sector. It is also possible to replace other makes of tachograph with the Stoneridge unit to avoid having different systems in the fleet. Another big benefit of the Stoneridge SE5000 Exakt Duo systems are that they can be supplied with an easily fitted remote download package. This is fitted behind the dash of the vehicle and is tamperproof. This is an important advantage if you, as many operators do, have vehicles working away from base for long periods of time. The systems allows an operator to interrogate the digital unit wherever it is in the world, and at any time, and retrieve both the driver and company data from it. Another benefit is that the downloads can be scheduled up front so that the data is automatically downloaded and sent back to base, ready for when the operator wants to analyse it. I have been talking to John Outhwaite of Driving Logic Ltd who has first-hand experience of using the equipment. John is a compliance consultant and he works a lot for Reays Coaches in Cumbria. Reays has 90 coaches, many of them touring vehicles operating in its fleet. Readers may remember that some years ago Chris Reay, who owns Reays Coaches, fell foul of the Traffic Commissioners over compliance issues. It was a very painful and humiliating experience for him, harming not only his business but also his treasured reputation. In rebuilding his business since, Chris has become a stickler about compliance issues, which is why he employs John Outhwaite to ensure they are properly met. John had previous experience of using the Stoneridge system on freight vehicles and was aware of the advantages of its remote downloadability. He persuaded Chris to fit one of the units to a frontline coach and see if it could offer real benefits for the fleet. The vehicle is a 2013 Van Hool integral used on extended tours. The equipment was fitted in February and over the first three months John has experienced major benefits. ‘It is much easier to monitor this vehicle and its drivers than any other vehicle on the fleet,’ he says. He cited the ability to view data remotely when the vehicle is away from base. This has already presented an opportunity for him to interrogate the vehicle and driver’s cards and check whether a set of circumstances, that were outside the control of the drivers, were developing into a compliance issue. The vehicle was deployed on a ski trip to the Alps and extreme weather conditions meant its ferry booking at Dover was considerably delayed. These delays meant that there was a real danger of the drivers becoming non-compliant. In this case John was able to download the data, analyse it, and then transmit a full analysis and compliance report to the drivers, which they could produce in the event of being pulled over by the authorities both in the UK and abroad. He has also interviewed drivers who had used the vehicle and found that a large percentage of them found the unit easier to read and use than other tachographs. They particularly liked the minute by minute countdown system of driving and rest times, finding it really helpful. Another batch of Reays Coaches are now being fitted with the equipment and John’s hope is that eventually all the vehicles can be converted. The SE5000 Exakt Duo2 retrofit unit costs £550 and the remote download system an additional £295. Currently, Stoneridge have a discount offer running on these kits provided they are fitted at one of their nominated workshops, which are located across the country. The new SE5000 Exakt Duo2 provides even more benefits. One is the advanced Period of Availability (POA) mode which allows drivers to keep better track of break and rest time thus enabling them to make the best use of the working period. It also includes Working Time Directive (WTD) calculations. This is very important for employees who build up a lot of working time but not necessarily a lot of driving time. The new unit provides a screen display which warns the driver of approaching Daily and Working Week time limits keeping them better informed, reducing the risk of compliance issues and fines. Other features of the new tachograph are real time train and ferry calculations giving drivers a more accurate view of remaining driving and rest times; automatic company locks which automatically secure company data the first time the company card is inserted; easier finding of the product version information on the INFO Menu and, at the request of control authorities and workshops, easier to see data regarding ‘second source motion’ on the technical print out.